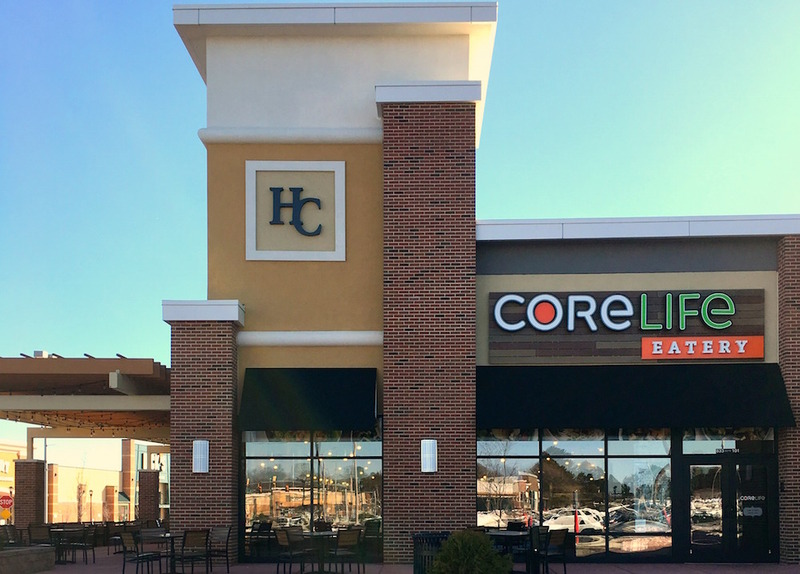 CoreLife Eatery, an active lifestyle restaurant offering a variety of greens, grains and broth-based dishes, will open its first location in Pennsylvania at 833 North Krocks Road in Hamilton Crossings Plaza on Friday, March 24. As part of its ongoing commitment to wellness and the community, CoreLife Eatery is offering an opportunity to enjoy food from its newest location for free on Thursday, March 23 from 11:00 am until 9:00 pm. Everyone is invited to come out to CoreLife Eatery to try the clean, healthy and great tasting foods that the brand has to offer. CoreLife Eatery brings together scratch cooking with flavorful source ingredients and a fast, casual service line for a healthy and affordable eating alternative. They offer a wide variety of fresh ingredients that are transformed into custom-created dishes. All foods are free of trans fats, artificial colors, sweeteners, other artificial additives and GMO’s. The chicken and steak used are sustainably raised and never given antibiotics or hormones, and the bone broth is slow simmered all day for maximum taste and nutrition. Creating a menu that tastes great because it’s healthy is the secret to CoreLife Eatery’s success. The CoreLife Eatery concept has taken off quickly in New York and Ohio as people embrace the ability to eat healthy and powerful foods every day. The first location opened in Syracuse in 2015, and additional locations in Upstate New York and Ohio opened last year. The brand is growing rapidly, and additional locations will be announced as they are solidified. The brand just recently began franchising with plans to significantly expand the number of communities they can serve powerful and healthy options to every day. For more information on franchising opportunities, please visit www.eatatcore.com/franchising. “We are thrilled to bring CoreLife Eatery to Pennsylvania and are confident that the Allentown community will soon understand firsthand why our food has become an integral part of the everyday lives for those from all walks of life,” says Scott Davis, Chief Concept Officer of CoreLife Eatery. During his tenure as Chief Concept Officer at Panera Bread, Davis led many key initiatives that drove the long-term success of the company and now applies his proven knowledge and expertise to this new and emerging concept. CoreLife Eatery strives to promote active lifestyle activities by offering and participating in a number of health-related events in the community. CoreLife Eatery staff are also willing to share their food concepts as well as wellness ideals through talks at local organizations and participation in community events. Led by President Larry Wilson, the CoreLife Eatery executive team brings individual successes and skill sets to help the restaurant grow to meet the needs of more communities lacking convenient access to healthy and affordable eating alternatives. CoreLife Eatery plans to expand to 300 total locations, including both corporate and franchise restaurants, over the next five years. For more information, please visit www.eatatcore.com.